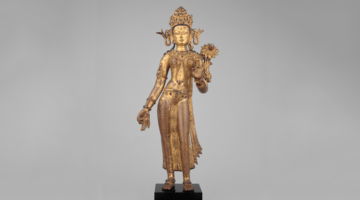 Tara, the savioress, is “she who ferries beings across the ocean of samsara.” Tara is the most beloved by Tibetans of all the female awakened beings. Her praises are sung and she is supplicated in all Tibetan monasteries and by many laypeople as well. Tara is renowned for her swift and compassionate activity. Whether devotees have worldly or spiritual motivation, Tara gives benefit to all and leads people to awakening. The Tibetans call her Jetsun Drolma. Drolma is Tibetan for the Sanskrit word Tara. Je means the power to liberate others; tsun means that she benefits herself and all others, that she is beyond samsara, and that she has the stainless wisdom body. In other words, Tara is fully enlightened; she is inseparable from the absolute true nature, the dharmakaya. She rushes to the aid of beings when we call upon her with heartfelt devotion. 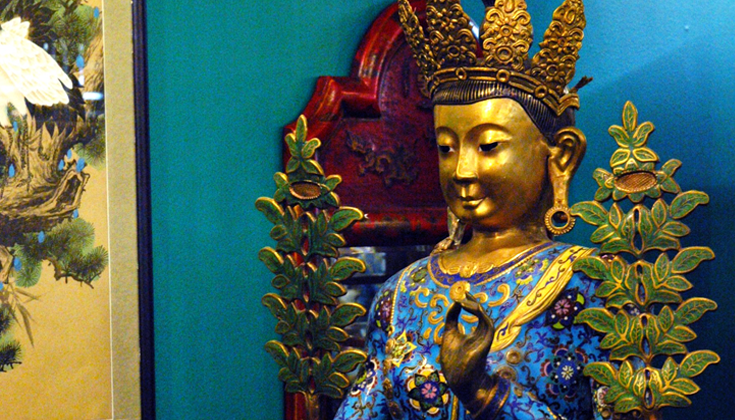 Meditating on her helps us awaken our buddhanature. In order for Tara to be able to benefit us, we need to approach her with an open heart and mind. Through continued meditation practice on Tara, we can establish a relationship in which we are able to trust and rely on her. It is like getting to know new friends — we have to invite them over to our home many times until we get to know them. The more we are able to open to her, the more she is able to benefit us. In Western culture, we lack female archetypes that embody the complete range of our potential qualities, but in Buddhism we see embodiments of all aspects of pure form. 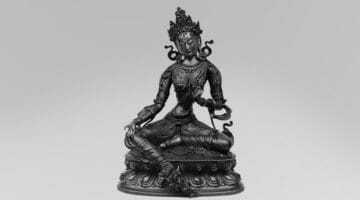 Tara is both peaceful and wrathful, beautiful and powerful. She is the actuality of wisdom and sensuality, compassionate and sexual, empty yet fully manifest. In this way Tara transcends dualistic limitations. She leads us beyond duality to the infinite bliss and emptiness that is our most precious opportunity.